Kristallnacht (German pronunciation: [kʁɪsˈtalnaχt] ; lit. "Crystal Night") or Reichskristallnacht (German: [ˌʁaɪçs.kʁɪsˈtalnaχt] ( listen )), also referred to as the Night of Broken Glass, Reichspogromnacht [ˌʁaɪçs.poˈɡʁoːmnaχt] or simply Pogromnacht [poˈɡʁoːmnaχt] ( listen ), and Novemberpogrome [noˈvɛmbɐpoɡʁoːmə] ( listen ) (Yiddish: קרישטאָל נאַכט krishtol nakht), was a pogrom against Jews throughout Nazi Germany on 9–10 November 1938, carried out by SA paramilitary forces and civilians. The German authorities looked on without intervening. The name Kristallnacht comes from the shards of broken glass that littered the streets after the windows of Jewish-owned stores, buildings, and synagogues were smashed. Literal translation, direct translation, or word-for-word translation is the rendering of text from one language to another one word at a time with or without conveying the sense of the original whole. A pogrom is a violent riot aimed at the massacre or persecution of an ethnic or religious group, particularly one aimed at Jews. The Russian term originally entered the English language in order to describe 19th and 20th century attacks on Jews in the Russian Empire. Similar attacks against Jews at other times and places also became retrospectively known as pogroms. The word is now also sometimes used to describe publicly sanctioned purgative attacks against non-Jewish ethnic or religious groups. The characteristics of a pogrom vary widely, depending on the specific incidents, at times leading to, or culminating in, massacres. Sir Richard John Evans, is a British historian of nineteenth- and twentieth-century Europe with a focus on Germany. He is the author of eighteen books, including his three-volume The Third Reich Trilogy (2003–2008) that has been hailed as "brilliant" and "magisterial." Evans was Regius Professor of History at the University of Cambridge from 2008 until his retirement in 2014, and President of Cambridge's Wolfson College from 2010 to 2017. He has been Provost of Gresham College in London since 2014. Evans was appointed Knight Bachelor for services to scholarship in the 2012 Birthday Honours. Sir Martin John Gilbert was a British historian and honorary Fellow of Merton College, University of Oxford. He was the author of eighty-eight books, including works on Winston Churchill, the 20th century, and Jewish history including the Holocaust. He was a member of the Chilcot Inquiry into the UK's role in the Iraq War. Ernst Eduard vom Rath was a German diplomat, remembered for his assassination in Paris in 1938 by a Polish Jewish teenager, Herschel Grynszpan, which provided a pretext for the Kristallnacht, "The Night of Broken Glass". In the 1920s, most German Jews were fully integrated into German society as German citizens. They served in the German army and navy and contributed to every field of German business, science and culture. 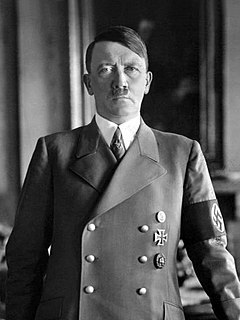 Conditions for the Jews began to change after the appointment of Adolf Hitler (the Austrian-born leader of the National Socialist German Workers' Party) as Chancellor of Germany on 30 January 1933, and the Enabling Act (23 March 1933) assumption of power by Hitler after the Reichstag fire of 27 February 1933. From its inception, Hitler's régime moved quickly to introduce anti-Jewish policies. 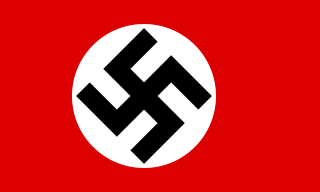 Nazi propaganda singled out the 500,000 Jews in Germany, who accounted for only 0.86% of the overall population, as an enemy within who were responsible for Germany's defeat in the First World War and for its subsequent economic disasters, such as the 1920s hyperinflation and Wall Street Crash Great Depression. Beginning in 1933, the German government enacted a series of anti-Jewish laws restricting the rights of German Jews to earn a living, to enjoy full citizenship and to gain education, including the Law for the Restoration of the Professional Civil Service of 7 April 1933, which forbade Jews to work in the civil service. The subsequent 1935 Nuremberg Laws stripped German Jews of their citizenship and forbade Jews to marry non-Jewish Germans. Chaim Azriel Weizmann was a Zionist leader and Israeli statesman who served as President of the Zionist Organization and later as the first President of Israel. He was elected on 16 February 1949, and served until his death in 1952. Weizmann convinced the United States government to recognize the newly formed state of Israel. The Évian Conference was convened 6–15 July 1938, at Évian-les-Bains, France, to discuss the Jewish refugee problem and the plight of the increasing numbers of Jewish refugees fleeing persecution by Nazi Germany. It was convened at the initiative of United States President Franklin D. Roosevelt who perhaps hoped to obtain commitments from some of the invited nations to accept more refugees, although he took pains to avoid stating that objective expressly. Historians have suggested that Roosevelt desired to deflect attention and criticism from American policy that severely limited the quota of Jewish refugees admitted to the United States. 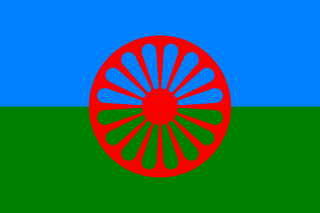 The Romani, colloquially known as Gypsies or Roma, are an Indo-Aryan ethnic group, traditionally itinerant, living mostly in Europe and the Americas and originating from the northern Indian subcontinent, from the Rajasthan, Haryana, and Punjab regions of modern-day India. In August 1938 the German authorities announced that residence permits for foreigners were being canceled and would have to be renewed. [ citation needed ] This included German-born Jews of foreign citizenship. Poland stated that it would renounce citizenship rights of Polish Jews living abroad for at least five years after the end of October, effectively making them stateless. In the so-called "Polenaktion", more than 12,000 Polish Jews, among them the philosopher and theologian Rabbi Abraham Joshua Heschel, and future literary critic Marcel Reich-Ranicki were expelled from Germany on 28 October 1938, on Hitler's orders. They were ordered to leave their homes in a single night and were allowed only one suitcase per person to carry their belongings. As the Jews were taken away, their remaining possessions were seized as loot both by the Nazi authorities and by their neighbors. Among those expelled was the family of Sendel and Riva Grynszpan, Polish Jews who had emigrated to Germany in 1911 and settled in Hanover, Germany. At the trial of Adolf Eichmann in 1961, Sendel Grynszpan recounted the events of their deportation from Hanover on the night of 27 October 1938: "Then they took us in police trucks, in prisoners' lorries, about 20 men in each truck, and they took us to the railway station. The streets were full of people shouting: 'Juden Raus! Auf Nach Palästina!'" ("Jews out, out to Palestine!"). Their seventeen-year-old son Herschel was living in Paris with an uncle. Herschel received a postcard from his family from the Polish border, describing the family's expulsion: "No one told us what was up, but we realized this was going to be the end ... We haven't a penny. Could you send us something?" He received the postcard on 3 November 1938. The front page of The New York Times of 11 November 1938 refers to the attacks occurring "under the direction of Stormtroopers and Nazi party members," but also said that Goebbels called a stop to it. Many decades later, association with the Kristallnacht anniversary was cited as the main reason against choosing 9 November (Schicksalstag), the day the Berlin Wall came down in 1989, as the new German national holiday; a different day was chosen (3 October 1990, German reunification). 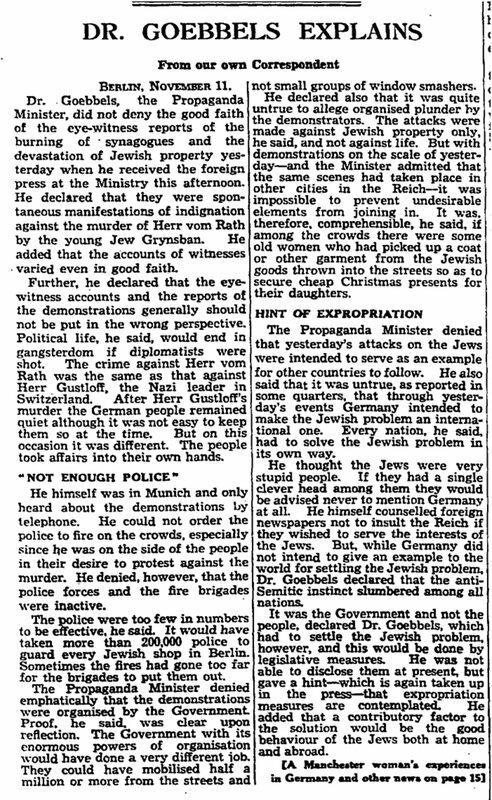 ↑ "'German Mobs' Vengeance on Jews", The Daily Telegraph , 11 November 1938, cited in Gilbert, Martin. Kristallnacht: Prelude to Destruction. Harper Collins, 2006, p. 42. 1 2 "World War II: Before the War", The Atlantic, 19 June 2011. "Windows of shops owned by Jews which were broken during a coordinated anti-Jewish demonstration in Berlin, known as Kristallnacht, on Nov. 10, 1938. The Nazi authorities turned a blind eye as SA stormtroopers and civilians destroyed storefronts with hammers, leaving the streets covered in pieces of smashed windows. Some sources estimate that ninety-one Jews were killed, and 30,000 Jewish men were arrested and taken to concentration camps." 1 2 3 4 "Kristallnacht". www.ushmm.org. Retrieved 2018-05-19. 1 2 Multiple (1998). "Kristallnacht". The Hutchinson Encyclopedia. Hutchinson Encyclopedias (18th ed.). London: Helicon. p. 1,199. ISBN 1-85833-951-0. ↑ Trueman, Chris. "Nazi Germany – dictatorship" . Retrieved 12 March 2008. ↑ "Hitler's Enabling Act" . Retrieved 2008-03-12. ↑ "The Holocaust" . Retrieved 12 March 2008. 1 2 Mommsen, Hans (12 December 1997). "Interview with Hans Mommsen" (PDF). Yad Vashem. Retrieved 6 February 2010. ↑ Georg Landauer to Martin Rosenbluth, 8 February 1938, cited in Friedländer, loc. cit. ↑ ""Polenaktion" und Pogrome 1938 – "Jetzt rast der Volkszorn. Laufen lassen"" (in German). Der Spiegel. 29 October 2018. ↑ "Expelled Jews' Dark Outlook". Newspaper article. 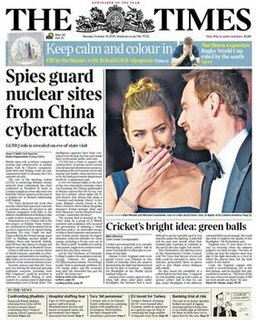 London: The Times. 1 November 1938. Retrieved 12 March 2008. ↑ "Recollections of Rosalind Herzfeld," Jewish Chronicle, 28 September 1979, p. 80; cited in Gilbert, The Holocaust—The Jewish Tragedy, London: William Collins Sons & Co. Ltd, 1986. ↑ German State Archives, Potsdam, quoted in Rita Thalmann and Emmanuel Feinermann, Crystal night, 9–10 November 1938, pp. 33, 42. 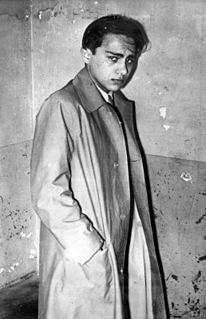 "On November 7, 1938, Herschel Grynszpan, a Jew, walked into the German embassy in Paris and shot Ernst vom Rath, a German diplomat. Nazi propagandists condemned the shooting as a terrorist attack to further the cause of the Jewish 'world revolution' and launched the series of attacks known as Kristallnacht. Vom Rath and Grynszpan met in Le Boeuf sur le Toit bar, a popular haunt for gay men in the autumn of 1938 and became intimate." ↑ "Die „Kristallnacht"-Lüge - Die Ereignisse vom 9./10. November 1938 | ZbE". www.zukunft-braucht-erinnerung.de. ↑ Lucas, Eric. "The sovereigns", Kibbutz Kfar Blum (Palestine), 1945, p. 171 cited in Gilbert, op.cit., p 67. ↑ Raul Hilberg. The Destruction of the European Jews, Third Edition, (Yale Univ. Press, 2003, c1961), Ch.3. ↑ Carleton Greene, Hugh. Daily Telegraph, 11 November 1938 cited in "The Road to World War II" Archived 30 September 2007 at the Wayback Machine , Western New England College. ↑ "The Road to World War II" Archived 30 September 2007 at the Wayback Machine , Western New England College. 1 2 "Kristallnacht Remembered". www.kold.com. Retrieved 2008-05-17. ↑ Conot, Robert. Justice at Nuremberg, New York, NY: Harper and Row, 1983, pp. 164–72. ↑ Connolly, Kate (22 October 2008). "Kristallnacht remnants unearthed near Berlin". The Guardian. London. Retrieved 7 May 2010. ↑ Scheer, Regina (1993). "I'm Revier 16 (In precinct No. 16)". Die Hackeschen Höfe. Geschichte und Geschichten Feiner Lebenswelt in der Mitte Berlins (Gesellschaft Hackesche Höfe e.V. (ed. ), pp. 78 ed.). Berlin: Argon. ISBN 3-87024-254-X. ↑ Dr. Arthur Flehinger, "Flames of Fury", Jewish Chronicle, 9 November 1979, p. 27, cited in Gilbert, loc. cit. ↑ Rinde, Meir (2017). "A History of Violence". Distillations. Vol. 3 no. 2. pp. 6–9. Retrieved April 18, 2018. ↑ "NEW CAMPAIGN AGAINST JEWS NAZI OUTBREAKS". 11 November 1938. p. 1 – via Trove. ↑ Daily Telegraph, 12 November 1938. Cited in Gilbert, Martin. Kristallnacht: Prelude to Destruction. Harper Collins, 2006, p. 142. ↑ Müller-Claudius, Michael (1948). Der Antisemitismus und das deutsche Verhangnis. Frankfurt: J. Knecht. pp. 76–77, 175–176. ↑ Gordon 1984, pp. 263–264. 1 2 Gordon 1984, p. 266. ↑ Gordon 1984, p. 159. ↑ Gordon 1984, p. 156. ↑ Gordon 1984, p. 157. ↑ Gordon 1984, p. 176. ↑ Gordon 1984, pp. 180, 207. ↑ Gordon 1984, pp. 175–179, 215. 1 2 3 4 5 Gordon 1984, pp. 251, 252, 258, 259. ↑ Bernd Nellessen, "Die schweigende Kirche: Katholiken und Judenverfolgung", in Büttner (ed) Die Deutschen und die Judenverfolgung im Dritten Reich, p. 265, cited in Daniel Goldhagen's Hitler's Willing Executioners (Vintage, 1997). ↑ Diarmaid MacCulloch, Reformation: Europe's House Divided, 1490-1700 . New York: Penguin Books Ltd, 2004, pp. 666–67. ↑ Miskin, Maayana (8 February 2010). "Yad Vashem to Honor Aborigine". Israel National News. Retrieved 20 April 2012. ↑ "Telegram protesting against the persecution of Jews in Germany" (PDF) (in Spanish). El Clarín de Chile's. ↑ Krefeld, Stadt (1988). Ehemalige Krefelder Juden berichten uber ihre Erlebnisse in der sogenannten Reichskristallnacht. Krefelder Juden in Amerika. 3. Cited in Johnson, Eric. Krefeld Stadt Archiv: Basic Books. p. 117. ↑ Seth Rogovoy (20 April 2001). "Gary Lucas: Action guitarist". Berkshire Eagle. Archived from the original on 9 May 2008. Retrieved 20 May 2008. A knowing reference to Arnold Schoenberg's "Verklarte Nacht", the piece ironically juxtaposed the Israeli national anthem, "Hatikvah," with phrases from "Deutschland Uber Alles," amid wild electronic shrieks and noise. The next day the papers ran a picture of Lucas with the triumphant headline, "It is Lucas!" ↑ "BAP Songtexte (German)". Archived from the original on 23 May 2008. Retrieved 16 May 2008. ↑ "Mayn Yingele (Rzewski, Frederic)" . Retrieved 25 January 2016. ↑ "MSNBC hot take: Trump's Putin presser just like 'Pearl Harbor or Kristallnacht'". Herman Cain. 2018-07-17. Retrieved 2018-07-17. ↑ "St. Louis Jewish cemetery rededicated after gravestones toppled by vandals - Diaspora - Jerusalem Post". www.jpost.com. ↑ Reporter, Adam Vaccaro-. "Holocaust Memorial in Boston damaged for second time this summer - The Boston Globe". BostonGlobe.com. Wilhelm Gustloff was the founder of the Swiss NSDAP/AO at Davos. He remained its leader from 1932 until he was assassinated in 1936. Herschel Feibel Grynszpan was a Polish-Jewish refugee, born in Germany. 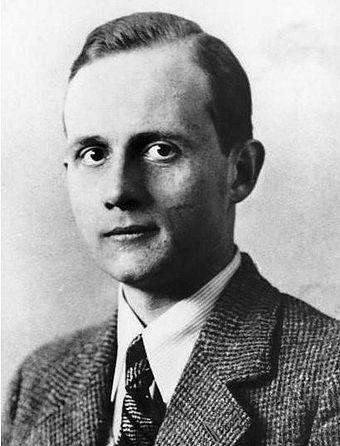 His assassination of the German diplomat Ernst vom Rath on 7 November 1938 in Paris was used by the Nazis as a pretext to launch Kristallnacht, the antisemitic pogrom of 9–10 November 1938. Grynszpan was seized by the Gestapo after the Fall of France and brought to Germany. Grynszpan's eventual fate remains unknown. It is generally assumed that he did not survive the Second World War, and he was declared dead in 1960. In 2016 a photograph of a man resembling Grynszpan was cited as evidence to support the claim that he was still alive in Bamberg, Germany, as of 3 July 1946. He is the subject of the book The Short, Strange Life of Herschel Grynszpan, by author Jonathan Kirsch. David Frankfurter was a Croatian Jew known for assassinating Swiss branch leader of the German NSDAP Wilhelm Gustloff in February 1936 in Davos, Switzerland. Jewish settlers founded the Ashkenazi Jewish community in the Early and High Middle Ages. The community survived under Charlemagne, but suffered during the Crusades. Accusations of well poisoning during the Black Death (1346–53) led to mass slaughter of German Jews and they fled in large numbers to Poland. The Jewish communities of the cities of Mainz, Speyer and Worms became the center of Jewish life during Medieval times. "This was a golden age as area bishops protected the Jews resulting in increased trade and prosperity." The First Crusade began an era of persecution of Jews in Germany. Entire communities, like those of Trier, Worms, Mainz and Cologne, were murdered. The war upon the Hussite heretics became the signal for renewed persecution of Jews. The end of the 15th century was a period of religious hatred that ascribed to Jews all possible evils. The atrocities during the Khmelnytsky Uprising committed by Khmelnytskyi's Cossacks drove the Polish Jews back into western Germany. With Napoleon's fall in 1815, growing nationalism resulted in increasing repression. From August to October 1819, pogroms that came to be known as the Hep-Hep riots took place throughout Germany. 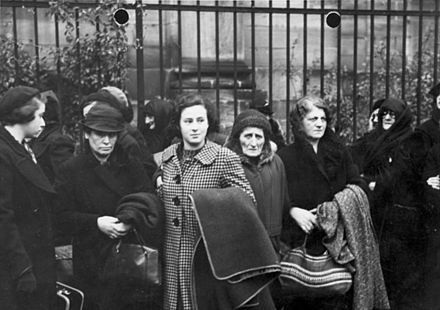 During this time, many German states stripped Jews of their civil rights. As a result, many German Jews began to emigrate. Karl Fiehler was a German politician of the Nazi Party (NSDAP) and Mayor of Munich from 1933 until 1945. He was an early member of the Nazi Party having joined in 1920. In 1935, he became a Reichsleiter in the party and was a member of the Reichstag. In March of 1933, he was appointed Mayor of Munich and held that post until the end of World War II in Europe. During his time as mayor, Fiehler was zealously anti-Semitic and saw to it that the Jewish population of the city was persecuted. After the war in January 1949, Fiehler was sentenced to two years in a labour camp, but the sentence was suspended given the previous three and a half years of detention he had already served. Fiehler died in 1969. Wolf-Heinrich Julius Otto Bernhard Fritz Hermann Ferdinand Graf von Helldorff was a German police official and politician, who served as a Member of the Prussian Parliament during the Weimar Republic, as a Member of the Reichstag for the Nazi Party from 1933, and as president of police in Potsdam and Berlin. From 1938, the Graf became associated with the anti-Nazi resistance, and was executed in 1944 for his role in the 20th July plot to overthrow Hitler's regime. The history of the Jews during World War II is almost synonymous with the Jewish persecution and murder of unprecedented scale in modern times in political Europe inclusive of European North Africa. The massive scale of the Holocaust which happened during World War II heavily affected the Jewish nation and world public opinion, which only understood the dimensions of the Final Solution after the war. The genocide, known as HaShoah in Hebrew, aimed at the elimination of the Jewish people on the European continent. It was a broadly organized operation led by Nazi Germany, in which approximately six million Jews were murdered methodically and with horrifying cruelty. During the Holocaust in occupied Poland, more than one million Jews were murdered in gas chambers of the Auschwitz concentration camp alone. The murder of the Jews of Europe affected Jewish communities in Albania, Austria, Belarus, Belgium, Bosnia & Herzegovina, Channel Islands, Croatia, Czech Republic, Estonia, France, Germany, Greece, Hungary, Italy, Latvia, Libya, Lithuania, Luxembourg, Macedonia, Moldova, The Netherlands, Norway, Poland, Romania, Russia, Serbia, Slovakia, and Ukraine. Zbąszyń is a town in western Poland, in Greater Poland Voivodeship, in Nowy Tomyśl County. It is the administrative seat of Gmina Zbąszyń. Bytom Synagogue or Beuthen Synagogue was a synagogue in Beuthen, in the Prussian Province of Silesia, a border–town between Germany and the Second Polish Republic prior to German invasion of Poland in World War II. Since the plebiscite of 1922 the border passed just east of Beuthen, so that neighboring Katowice were in Poland. Anti-Jewish legislation in pre-war Nazi Germany comprised several laws that segregated the Jews from German society and restricted Jewish people's political, legal and civil rights. Major legislative initiatives included a series of restrictive laws passed in 1933, the Nuremberg Laws of 1935, and a final wave of legislation preceding Germany's entry into World War II. Jüdischer Kulturbund, or Der Jüdische Kulturbund, was a Cultural Federation of German Jews, established in 1933. It hired over 1300 men and 700 women artists, musicians, and actors fired from German institutions, and grew to about 70,000 members, according to some authors. Saul Friedländer speaks of at least 180,000. Events in the year 1938 in Germany. The Polenaktion, or "Polish Action," refers to the arrests and expulsion of approximately 17,000 Polish Jews living within the German Reich in October 1938. 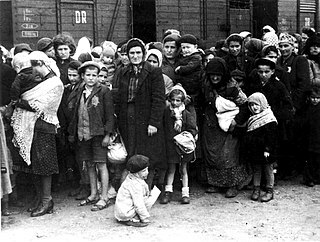 These deportations, ordered by SS officer and head of the Gestapo Reinhard Heydrich, displaced thousands of Polish Jews along the Germany-Poland border. 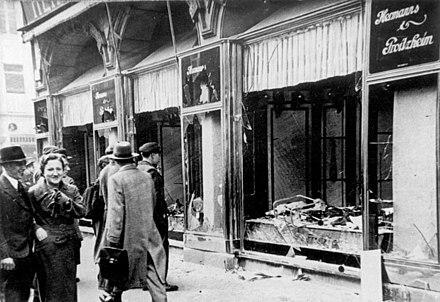 In Leipzig, as in other German cities, Jews and Jewish institutions suffered from attacks during the events called Kristallnacht, from November 9–10, 1938. Kristallnacht took its name because of all of the shattered glass from destroyed synagogues, Jewish-owned stores, Jewish-owned homes, schools, and Jewish-owned artifacts. The violence and destruction was carried out by members of the Sturmabteilung (SA), Schutzstaffel (SS), Gestapo, as well as German civilians. German and Nazi officials, along with standard civilians, watched as Jewish property in Leipzig turned to ash. The pogrom affected Jewish men, women, and children in Leipzig and other parts of Germany. There were more foreign-born Jews present in Leipzig than the majority of cities in Germany, and this made conditions for Leipzig Jews worse. Harsh conditions towards Jews in Leipzig began earlier than Kristallnacht because of this, and made Kristallnacht especially harmful. Kristallnacht destroyed much of the Jewish life in Leipzig. The events of Kristallnacht in Leipzig were described by United States Consul David H. Buffum, who reported what he saw to the State Department and published his 16-page report, Anti-semitic Onslaught in Germany as Seen from Leipzig, shortly after the events. A 5-page excerpt from his report was published in the Nuremberg Trial documents and was subsequently quoted at length in several English-language source collections on German history. Browning, Christopher R. (2003). Collected Memories: Holocaust History and Postwar Testimony. George L. Mosse Series in Modern European Cultural and Intellectual History. Madison: University of Wisconsin Press. ISBN 0-299-18984-8. Mayer, Kurt (2009). My Personal Brush with History. Tacoma: Kurt Mayer, Confluence Books. ISBN 978-0-578-03911-4. Friedlander, Saul (1998). Nazi Germany and the Jews: Volume 1: The Years of Persecution 1933–1939. New York, NY: Perennial. ISBN 0-06-092878-6. Gilbert, Martin (1986). The Holocaust: The Jewish Tragedy. London: Collins. ISBN 0-00-216305-5. Gordon, Sarah Ann (1984). Hitler, Germans, and the Jewish Question. Princeton University Press. ISBN 0-691-10162-0. Johnson, Eric J. (1999). Nazi Terror: The Gestapo, Jews, and Ordinary Germans. New York: Basic Books. ISBN 0-465-04906-0. Mosse, George L. (1978). Toward the Final Solution: A History of European Racism. New York: Howard Fertig. ISBN 0-86527-941-1. Mosse, George L. (2000). Confronting History: A Memoir. Madison: University of Wisconsin Press. ISBN 0-299-16580-9. Mosse, George L. (2003). Nazi Culture: Intellectual, Cultural and Social Life in the Third Reich. Madison: University of Wisconsin Press. ISBN 0-299-19304-7. Mosse, George L. (1999). The Crisis of German Ideology: Intellectual Origins of the Third Reich. New York: Howard Fertig. ISBN 0-86527-426-6. Schwab, Gerald (1990). The day the Holocaust began: the odyssey of Herschel Grynszpan. New York: Praeger. ISBN 0-275-93576-0. Shirer, William L. (1990). The Rise and Fall of the Third Reich . New York: Simon & Schuster. ISBN 0-671-72868-7. Yahil, Leni (1990). The Holocaust: the fate of European Jewry, 1932–1945. Oxford [Oxfordshire]: Oxford University Press. ISBN 0-19-504523-8. Dawidowicz, Lucy (1986). The War Against the Jews: 1933–1945. UK: Bantam. ISBN 978-0-553-34532-2. Steinweis, Alan E. (2009). Kristallnacht 1938. Harvard University Press. ISBN 978-0-674-03623-9. Döscher, Hans-Jürgen (1988). Reichskristallnacht: Die Novemberpogrome 1938 (in German). Ullstein. ISBN 978-3-550-07495-0. Korb, Alexander (2007). Reaktionen der deutschen Bevölkerung auf die Novemberpogrome im Spiegel amtlicher Berichte (in German). Saarbrücken: VDM Verlag. ISBN 978-3-8364-4823-9. Lauber, Heinz (1981). Judenpogrom: "Reichskristallnacht" November 1938 in Grossdeutschland : Daten, Fakten, Dokumente, Quellentexte, Thesen und Bewertungen (Aktuelles Taschenbuch) (in German). Bleicher. ISBN 3-88350-005-4. Pätzold, Kurt; Runge, Irene (1988). Kristallnacht: Zum Pogrom 1938 (Geschichte) (in German). Köln: Pahl-Rugenstein. ISBN 3-7609-1233-8. Pehle, Walter H. (1988). Der Judenpogrom 1938: Von der "Reichskristallnacht" zum Völkermord (in German). Frankfurt am Main: Fischer Taschenbuch Verlag. ISBN 3-596-24386-6. Schultheis, Herbert (1985). Die Reichskristallnacht in Deutschland nach Augenzeugenberichten (Bad Neustadter Beiträge zur Geschichte und Heimatkunde Frankens) (in German). Bad Neustadt a. d. Saale: Rotter Druck und Verlag. ISBN 3-9800482-3-3. Wroe, David (21 October 2008). "Hitler 'led henchmen' in Kristallnacht riots". Daily Telegraph. Segev, Tom (31 October 2008). "Hitler gave the order". Haaretz. Archived from the original on 8 December 2008. Rabbi Eliahu Ellis; Rabbi Shmuel Silinsky. "Kristallnacht". Holocaust studies. Aish.com. Retrieved 2008-05-20. "Germany commemorates Nazi era 'Kristallnacht'". CNN.com. 1998-11-09. Archived from the original on 25 February 2008. Retrieved 2008-05-20. "What Was Kristallnacht?". THHP Short Essays. The Holocaust History Project. 28 November 2003. Archived from the original on 11 May 2008. Retrieved 20 May 2008. "Kristallnacht "Night of Crystal" – "Night of Broken Glass"". Holocaust Prelude. Holocaust Education & Archive Research Team. 2006–2007. Retrieved 2008-05-20. Frieda S. Miller; Vancouver Holocaust Education Center (2008-02-25). "Kristallnacht". From Aryanization to Cultural Loss: The Destruction of the Jewish Fashion Industry in Germany and Austria. Center for Holocaust & Genocide Studies, University of Minnesota. Archived from the original on 10 December 2008. Retrieved 2008-05-20. "Sitting at Nuremberg, Germany 29th July to 8th August 1946". The Trial of German Major War Criminals Volume 20. The Nizkor Project. 2006. Retrieved 2008-05-20. Allida Black; June Hopkins; et al. (2003). "The Eleanor Roosevelt Papers – Kristallnacht". Teaching Eleanor Roosevelt; Eleanor Roosevelt National Historic Site, Hyde Park, New York. US National Park Service archive (nps.gov). Retrieved 2008-05-20. "Kristallnacht: A Nationwide Pogrom, November 9–10, 1938". Holocaust Encyclopedia. US Holocaust Memorial Museum. Retrieved 2008-05-20. "Kristallnacht: The November 1938 Pogroms". Online exhibitions, special topics. US Holocaust Memorial Museum. Archived from the original on 17 May 2008. Retrieved 20 May 2008. Yad Vashem (2004). "Kristallnacht". Yad Vashem's Photo Archives. The Holocaust Martyrs' and Heroes' Remembrance Authority. Archived from the original on 9 March 2005. Retrieved 2008-05-21. Wikimedia Commons has media related to Kristallnacht . Witness Speech, Kristallnacht, by George Spooner, Holocaust survivor, at Grace United Methodist Church, St. Louis, Missouri, 29 October 2017.